Recently, I accidentally started collecting cassettes. I’m not the only one. There is a movement out there. Not as mainstream as the vinyl revival. I hope it stays that way. It all started in my attic. I’m no good at throwing stuff away. While I have the space I’d rather store it for when I have time to digitise and archive. With so few of my elders left, old photos, VHS cassettes and tapes have become priceless. Also fragile. The images and audio only exist in one place until I can somehow get them into a computer. I have a scanner for the photos, an old camcorder for the Mini-DV tapes an now a decent cassette deck. 6 years ago I found a cassette of my Grandad singing. I paid £9 for a walkman so I could digitise it. But with over 50 home recorded tapes sitting in the roof, I promised myself I’d get something better. A few weeks ago I stumbled again upon that box of tapes. After a google I found a Nakamichi BX-125E on eBay. It was the kind of thing I balked at in the serious Hi-Fi shops. Only now did the Nakamichi seem affordable. So I bid on it. And won. When it arrived I grabbed a handful of mix tapes and tried them out. Straight off I realised I’d never heard tapes like this. I mean, I’d heard these tapes a hundred times each but not like this. With three types of tape setting and two types of noise reduction, I’d select the setting that fit the tape and sit back. It felt like I’d discovered a new medium. Some tapes still had that familiar hiss, the metal ones were crystal clear. Back in the 70’s and 80’s if you were serious about your audio you listened to vinyl. If you wanted to listen on the move you’d listen to cassettes. As soon as CD’s hit the scene you could turn your back on tape hiss and vinyl crackle for ever. If you wanted to. The thing is many people didn’t. CD’s took a little while to compete with vinyl sales. Some say it wasn’t until the early 2000’s that digital studio gear began to compete with analogue tape systems. But the consumers knew what they wanted. I know I did. Although I never let go of my vinyl I was an early adopter of the portable CD player and then the Minidisc. Even though Minidisc was inferior in sound quality over CD, I was sold on the versatility and ability to record. It was at that point, even before I got the iPod that I sold my decent cassette deck with the big VU meters. I still had tapes for the car. Until you could drive over a speed bump and the CD players wouldn’t skip. But I always missed the compact cassette. The first music I ever bought was on cassette. ‘The Best Of The Monkees.’ I was 6 and recognised them off the TV. I still have the tape. So finding that box took me right back. The hand made artwork and curated tracks. Soundtracks of my life. Some tapes I found were made by friends. When did you last take the time to make something like this? To sit down over an afternoon and create a single object for one person? Mp3’s are almost disposable. A copy is a perfect copy and can be replicated forever. It might also last forever. 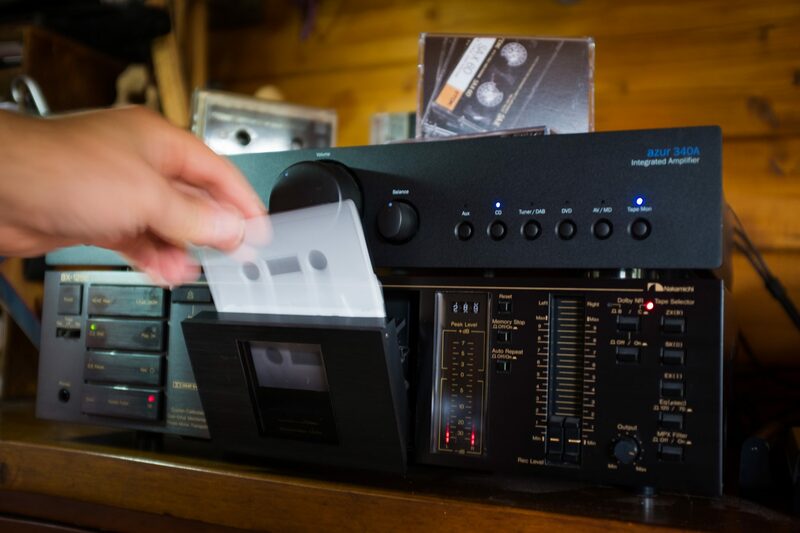 The music on analogue cassette degrades with each copy and the tape eventually wears out. Fades like organic matter. A transient piece of art. We never thought of it as piracy. It was sharing in a shared culture. I don’t remember anyone ever arrested for making a mixtape for a friend. Music discovery was all about that. The Hip-Hop, the Trip-Hop, the Grunge, Metal, Indie and Breakbeat. 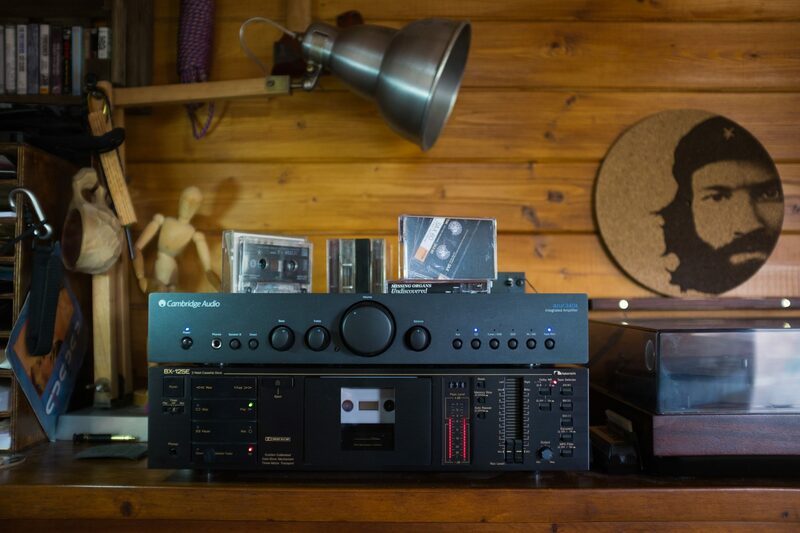 Yes you could listen to the charts, but the good stuff came to you on a mixtape. The stuff you liked, you’d buy on vinyl. Today vinyl has been outselling downloads. Last year I spent £50 on a record I’d really wanted. Yesterday I bought 5 cassettes for a quid. Some charity shops will wave me into the back room. There I can take a look at the tapes destined for landfill. In other shops I have to explain to the a blank stare exactly what a cassette tape is. There is a pocket of ignorance I’m keen to exploit. Just like the vinyl crate diggers 10 years ago. But how long will it last? There is already talk of a renaissance. I just bought new music on tape. Vinyl pressing plants can’t keep up with demand keeping bands waiting six months. A limited run on cassette can be made quickly on the cheap. It looks like demand is on the rise. Of course great music transcends the medium. But the format for me is nostalgic and some. Don’t talk to me of quality. Quality is an abstract concept. The result of perception. The quality I perceive is based on more than how ‘perfect’ it sounds. It’s the biro on the card, the pencil in the spool, watching the music go round. Similar to vinyl I guess. Just not as collectable. For now. I’m @Documentally on Twitter. I write in my newsletter more than blog here. 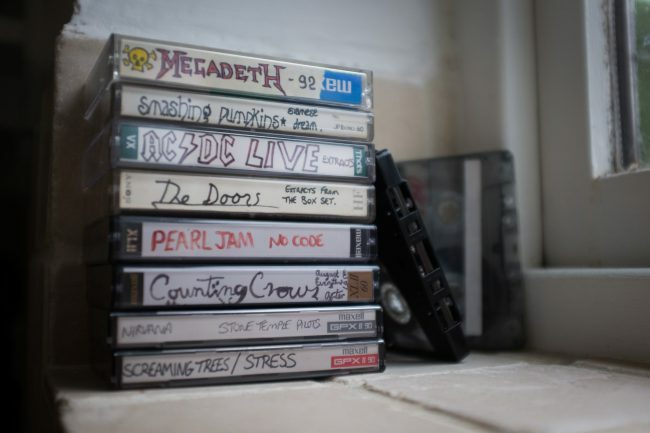 Cassettes – Better than you don’t remember. That stack of hand-drawn band names takes me back instantly. The pride coming out of a small stack of neatly designed spines was irrationally immense.